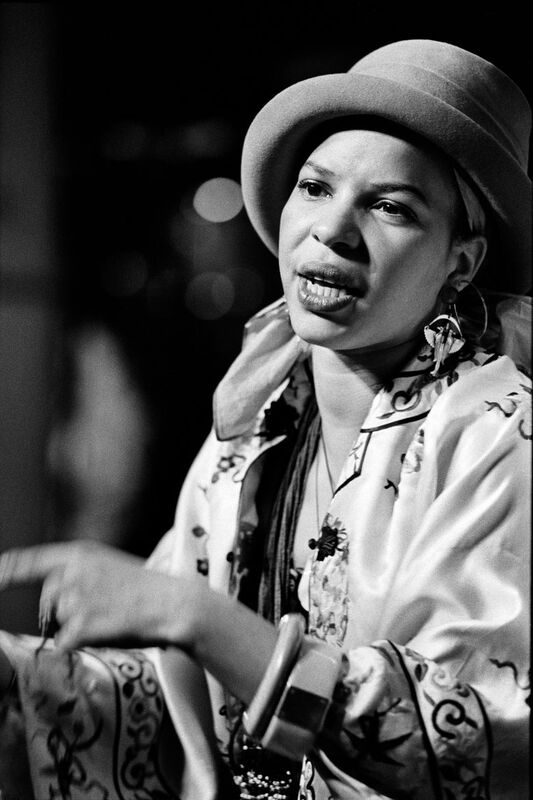 Ntozake Shange, whose adaptation of Bertolt Brecht’s “Mother Courage and Her Children” won an Obie citation, was the author of 15 plays, 19 poetry collections, six novels, five children’s books and three essay collections. 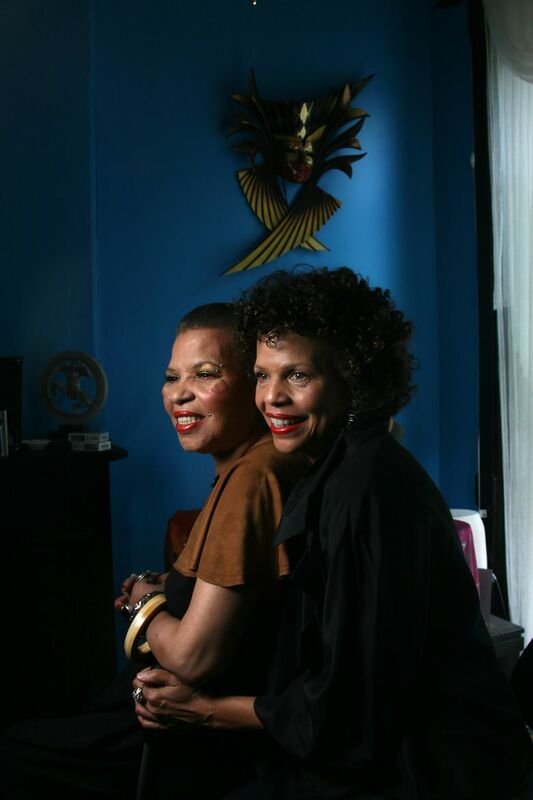 Ntozake Shange, a spoken-word artist who morphed into a playwright with her canonical play “For Colored Girls Who Have Considered Suicide/When the Rainbow is Enuf,” died on Saturday in Bowie, Maryland. She was 70. Only 27 years old when “For Colored Girls” opened at the Booth Theater in New York in 1976, Shange was a Broadway rarity on two counts: She was black and she was a woman. But her unconventional play was a hit and nominated for a Tony Award. A series of searing feminist monologues for seven black female characters named for the colors of the rainbow — Shange herself played the Lady in Orange — it inspired generations of playwrights coming up behind her. Among them was the Pulitzer Prize winner Suzan-Lori Parks, who in an interview on Sunday spoke fondly of encountering Shange in September at the Park Avenue Armory, at a brunch for playwrights. In her work, Shange was a champion of black women and girls, and in her trailblazing, she expanded the sense of what was possible for other black female artists. When Shange (her full name is pronounced en-toh-ZAH-kee SHAHN-gay) first arrived in the American theater, though, the response was not uniformly reverent. “For Colored Girls” won admiring reviews and an Obie Award for a production at the Public Theater, before it moved to Broadway. But the play’s forthright, personal discussion of trauma and abuse experienced by black women was taken by some as an affront to black men. Born Paulette Williams on Oct. 18, 1948, in Trenton, New Jersey, she was the daughter of Dr. Paul T. Williams, a surgeon, and Eloise Owens Williams, a professor of social work. She adopted a Zulu name as a young woman. She was a graduate of Trenton High School, Barnard College and the University of Southern California, where she earned a master’s degree in American studies. Her family said she had been affected deeply by the civil-rights movement and had later participated in the anti-war movement and efforts to advance the rights of women, Puerto Ricans and black artists. A novelist and poet who was unable to hold a pen for several years after suffering strokes, Shange had recently been giving poetry readings again, and she was working on a new book about dance. She had been pushing herself hard, though, and the activity depleted her, Bayeza said in a phone interview. Shange, whose adaptation of Bertolt Brecht’s “Mother Courage and Her Children” won an Obie citation, was the author of 15 plays, 19 poetry collections, six novels, five children’s books and three essay collections. One of her novels, “Some Sing, Some Cry,” was written with Bayeza and told the history of African-American music and dance through seven generations of a fictional family. It is an oeuvre all the more remarkable given what her family described as Shange’s struggles with bipolar disorder and addiction. But “For Colored Girls” has remained her best-known work. In 1982, it was an American Playhouse production on PBS, and in 2010 it became a star-studded film adaptation directed by Tyler Perry. The cast included Janet Jackson, Kerry Washington, Phylicia Rashad, Anika Noni Rose and Whoopi Goldberg. Madea, Perry’s on-screen alter ego, was nowhere to be seen. “Ms. Shange said she explicitly told Mr. Perry that Madea could not be in ‘Colored Girls,’” The New York Times reported. Shange referred to the play as a choreopoem because it combined poetry, dance and music. Harris’ first encounter with the text was years earlier, though, and she remembers the feeling of recognition she had reading it as a college student. Besides her sister, Shange’s survivors include a daughter, Savannah Shange; another sister, Bisa Williams; her brother, Paul T. Williams Jr.; and a granddaughter. She was married to the saxophonist David Murray and the painter McArthur Binion, Savannah’s father. Both marriages ended in divorce. For Shange, the renown that “For Colored Girls” brought was trying in the early years, and it took a long time for her to adjust, Bayeza said. But fame provided the platform that Shange had sought ever since she decided that she was a poet.